We tried painting the door black & I think I love it, but I’m not a fan of the shine on the door so I want to do something about that. We also have to paint the hardware and the wood behind it to complete the door, but atleast we had a door up! We finished painting the walls & we even hung our new bathroom light fixture from schoolhouse electric. We have to move the mirror down a smidge now, but I’m obsessed with the new light! 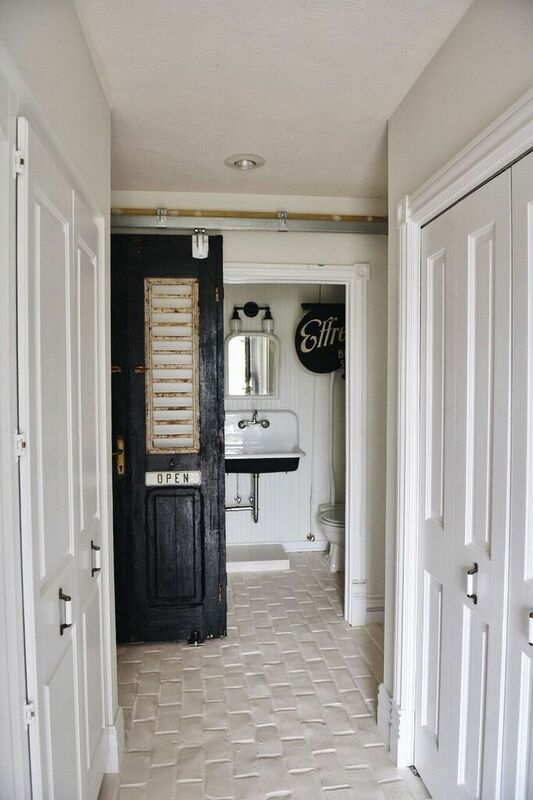 A gallery wall, rug, storage, & some new accessories is all this bathroom needs to be done! It’s a little space but it really has taken us a long time to get this bathroom complete. 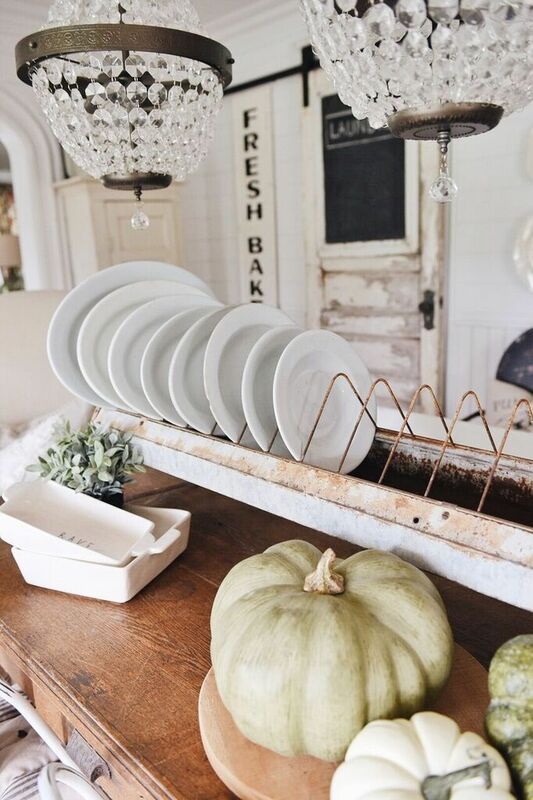 I spent time decorating for fall around our house some more & I can’t wait to share more on the blog later this week, but I’ve been sharing constant sneak peeks on Instagram & Facebook. I hope you guys are loving my early jump start on the fall decor this year because it’s sure been therapeutic for me to do it! We hung some curtains in the office! I’m not sure they are “the curtains” for the space, but I had this fabric lying around and so I worked with what I had. We hung an architectural piece above the window & hung the curtain rod directly onto the architectural piece. I clipped the fabric up onto the rod. My question is should I get something with more pattern, color, or white? Let me know what you think! I also took some time to read this weekend which was pure magic. I haven’t taken time to just sit in so long. I’m always thinking, working, or stressing about something. 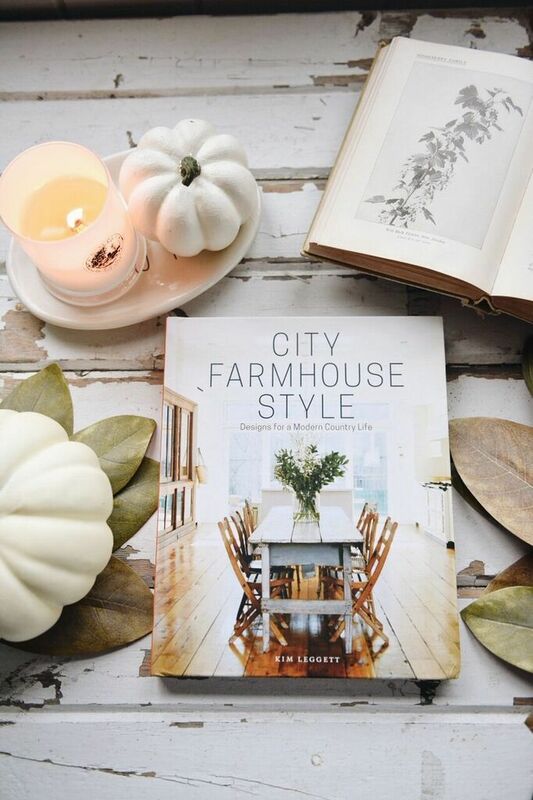 I started reading City Farmhouse Style by the lovely Kim Leggett. Oh wow.. to say this book is inspiring is an understatement. The only problem with the book? 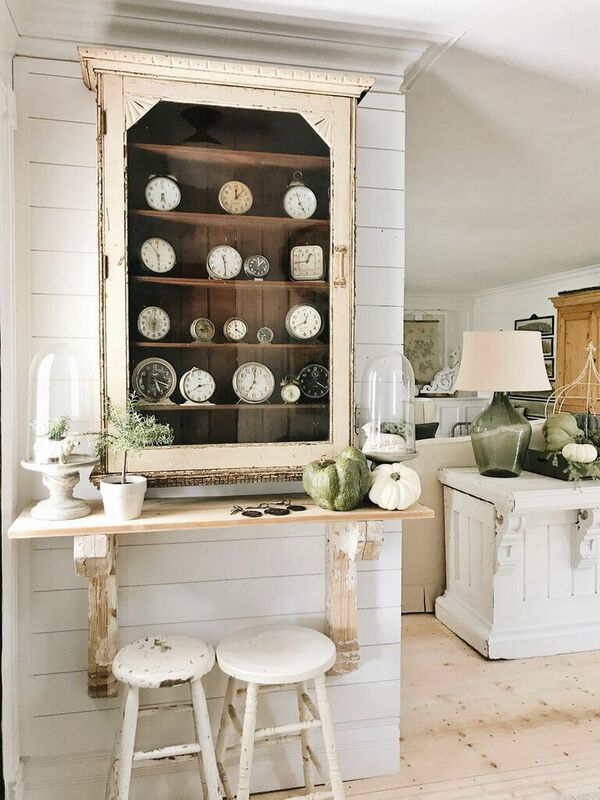 It made me want to get up from my peaceful sofa & decorate our home some more. 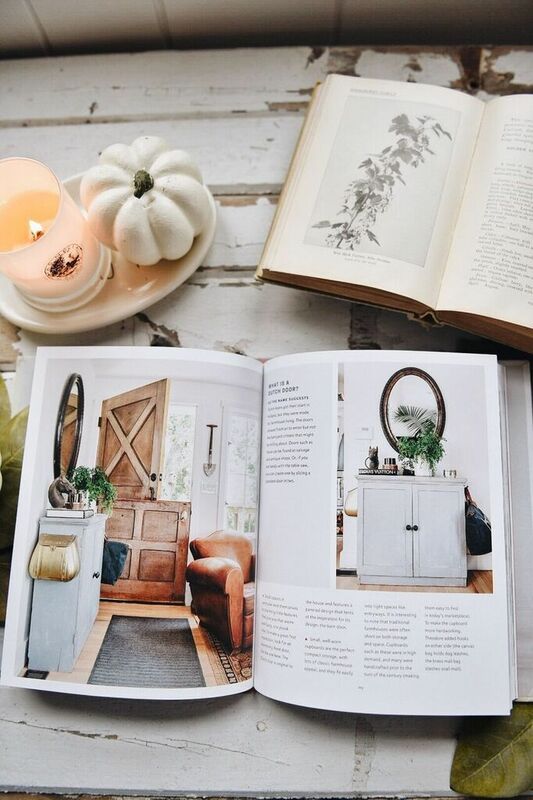 I am so thankful that I found Kim & her amazing work & I’m now thankful I have her book right on my coffee table to pick up when I need an inspiring read. You can order the book [HERE]if you want to check it out for yourself. Promise you won’t be disappointed!